Matt Damon crashes Jimmy Kimmel's show in a timely disguise. 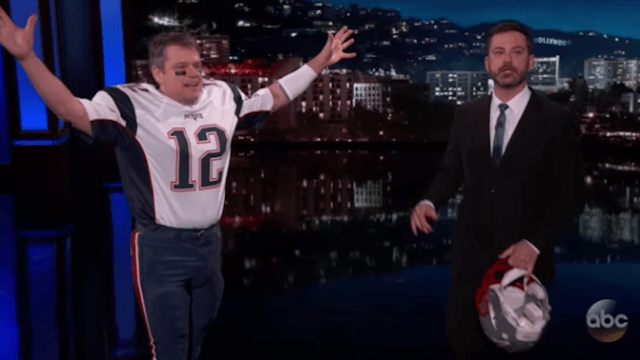 Matt Damon isn't allowed to be on Jimmy Kimmel's show (it's a long, but very funny story), but on Monday night, he snuck on dressed as the Patriots' Tom Brady, riding his Super Bowl win (and MVP award) high. Even after being de-helmeted, Damon proclaimed, "I won the Super Bowl and I won your stupid show!" 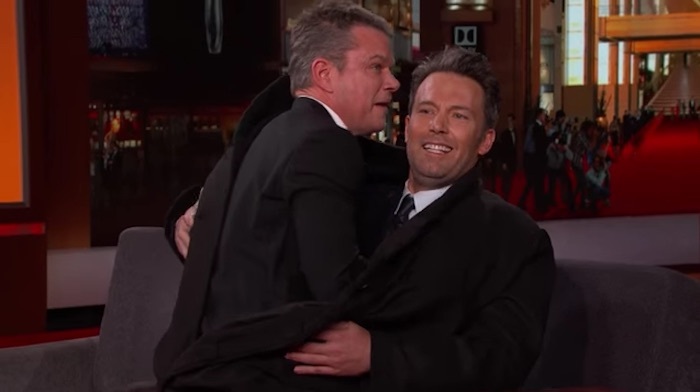 Matt Damon has managed to get onto the show before, hiding inside Ben Affleck's suit. Definitely looking forward to Matt Damon's next appearance on the show, whenever (and however) that may be.